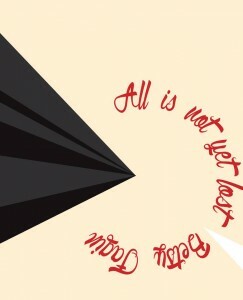 Through the end of February, Belladonna’s got a deal going on: get All is not yet lost along with Uljana Wolf’s letter-pressed broadside for just $20 with free shipping. 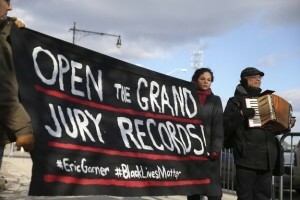 Support the release of the Eric Garner grand jury proceedings! The struggle for justice for Eric Garner continues. A Staten Island grand jury failed to indict anyone for Garner’s death, now millions of people want to know: What’s in those grand jury proceedings? So far, almost no information about how the grand jury did its job has been made public. What are they hiding? In another case of national importance – Mike Brown’s death in Ferguson, Missouri – just about everything has been released. The Legal Aid Society, New York City Public Advocate Letitia James, and the New York Civil Liberties Union are all working hard to let in the sunshine. Even the conservative New York Post, in a strong editorial, has called for release and the paper is also sending its lawyers to court. Today we packed the court to let the judge know that We The People want those records! The next hearing is scheduled for January 29, 2015.